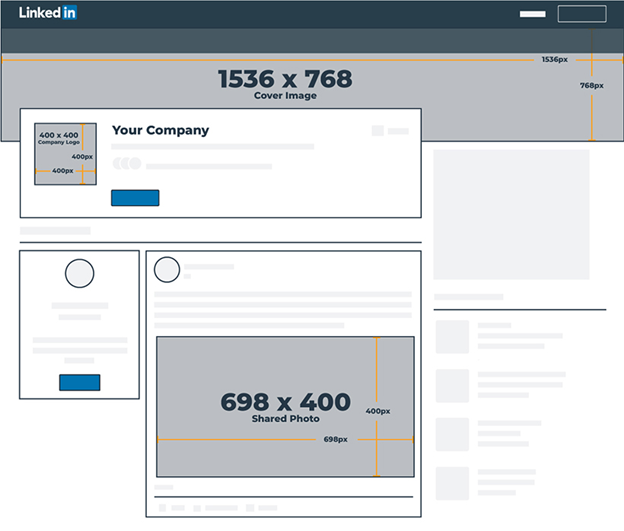 Social network platforms are forever changing the picture sizes and formats, and it’s necessary to keep up to ensure your brand, and personal profiles look professional and present the best first impression for you and your business. 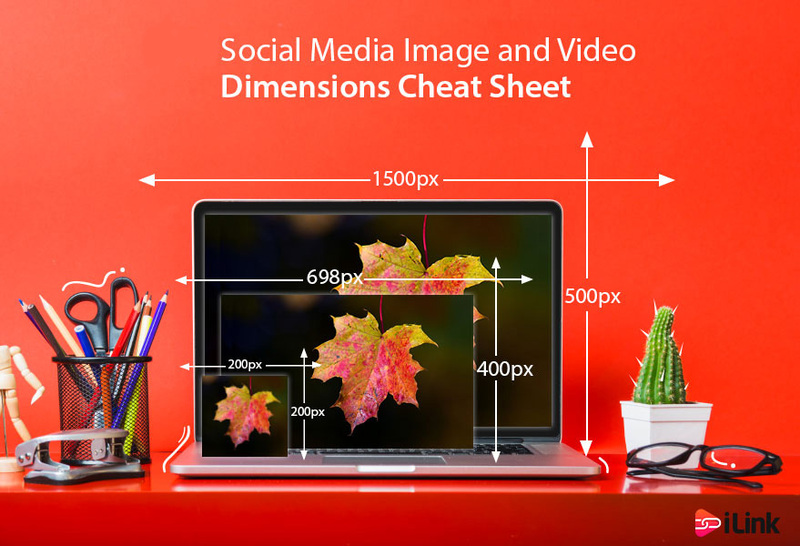 We have put together this 2018 Social Media Image Dimensions Guide which describes all the current picture dimensions and details for each social network platform, along with the photo types to use. Every popular social media platform is listed on here to ensure you are up-to-date with their optimization. sharing high-quality photos on Facebook convinces your audience that your brand is authentic, reputable, and detailed (no matter how small). Facebook wants to provide for positive user experience and prevent brands from being spammy or overly promotional, so they check to notice how much text is emphasized in each picture. 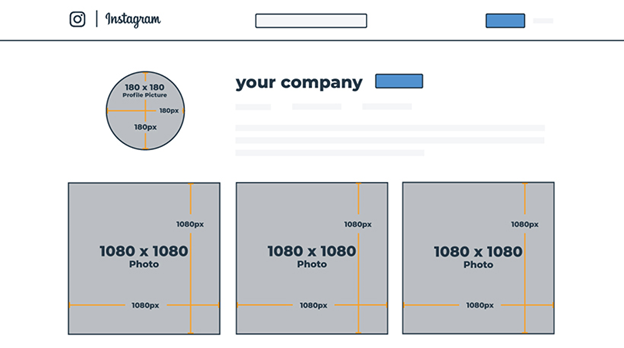 Most brands use this section for their logo rather than a personal photo. However, if your brand is run by you and only you, using a picture of yourself would not be a bad idea. If you are sharing a link to your brands’ Facebook Page, there are a few more factors to consider and formats to choose from. When you paste a link into your status, depending on the dimension of the pictures on the web page, you will be advised to include a carousel of up to 10 pictures. You can also share the link without using the picture — which can come in handy if you’d prefer to upload a new photo to share with the link instead. Twitter is known for its real-time social buzz and is also a top-rated customer service and experience tool for brands. Your profile picture will be visible on your Twitter profile, in your news feed, and near a link in the “Who to follow” box. Most brands use this as a spot for their logo because it is seen practically everywhere: when you tweet, when others retweet your tweets, when their retweet gets retweeted, and so on. Your cover picture, however, is only observed when a user clicks to your Twitter profile – but that doesn’t mean it’s not essential! It’s a large Image across the top of your profile, so you want it to be high quality and represent your business. 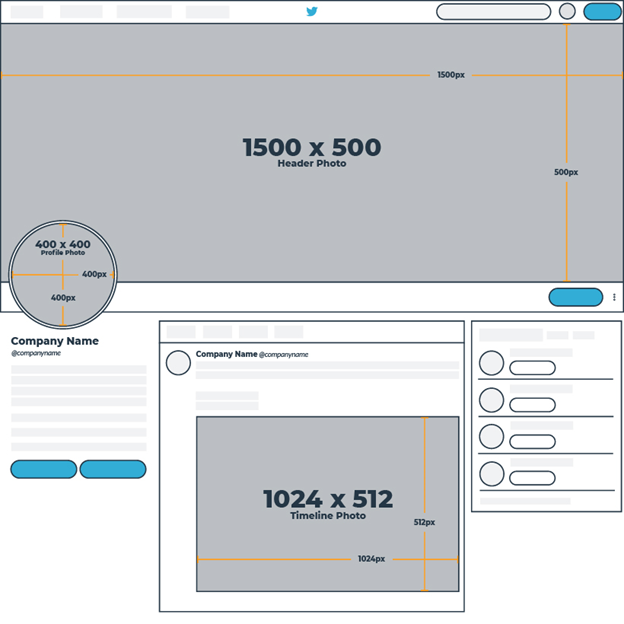 Twitter recommends that you upload your cover picture dimensions at 1500 x 500 pixels, but because the cover pictures are responsive, yours may look larger or smaller depending on the size of your screen or browser. Twitter has a limit of 280 characters, but you can use visuals to represent your business and share your content. Attaching a picture to your tweet used to take away 23 characters, but in 2016 Twitter stated that links and media attachments such as photos, GIFs, videos, and polls would no longer count as part of the character limit. This is excellent for brands because tweets with pictures are more likely to be retweeted than those with just text. Google Posts let you share events, updates, blog posts, and business news directly to the Google search page. Posts provide for a visual and unique way to catch the attention of people searching for your brand. They only stay active for a week, so you should update your Google Posts frequently. You can get started with Google Posts straight within the Google My Business interface. Make sure to use captivating pictures and headlines that grab attention. Google+ endured a substantial redesign, giving many brands and everyday users hope for the social network’s future. When a user performs a Google search for your business, elements of your Google+ profile, such as your location and reports, will be listed, as well as links to recent posts on G+. So while Google+ may not be the top social media platform, it absolutely shouldn’t be ignored. Your G+ profile may show up in search results so you should make sure that your profile picture is high quality. Even though you upload your profile picture as a square, it will display as a circle on your page. Regarding your G+ cover picture, it’s the largest photo at the top of your profile, so you will want clear and creative visuals to portray your business. While sharing pictures on Google+, you have the opportunity to share publicly, within a Collection, in a Community, with a Circle, or with a person. Collections are similar to Pinterest boards where you can collect and organize pictures or links about a specific topic. It helps keep your posts organized and lets people choose which Collections they want to follow based on their interest. Pinterest is also a great search engine, with 72% of users having purchased or considered purchasing something they found on the platform. Pinterest is one of the few platforms that doesn’t require a cover picture, so the representation of your brand leans on the shoulders of your profile picture. Similar to G+, Pinterest’s profile photo uploads as a square, but displays as a circle at the top of your Pinterest profile. The first thing people see when they visit your Pinterest profile is your board collections. Name your boards correctly and include a relevant cover picture for each of them. You don’t want empty boards, but you don’t want plenty of boards with no purpose, either. LinkedIn is an excellent platform for networking with other professionals and is also a resource for brands to connect with other companies, potential employees, and industry leaders. 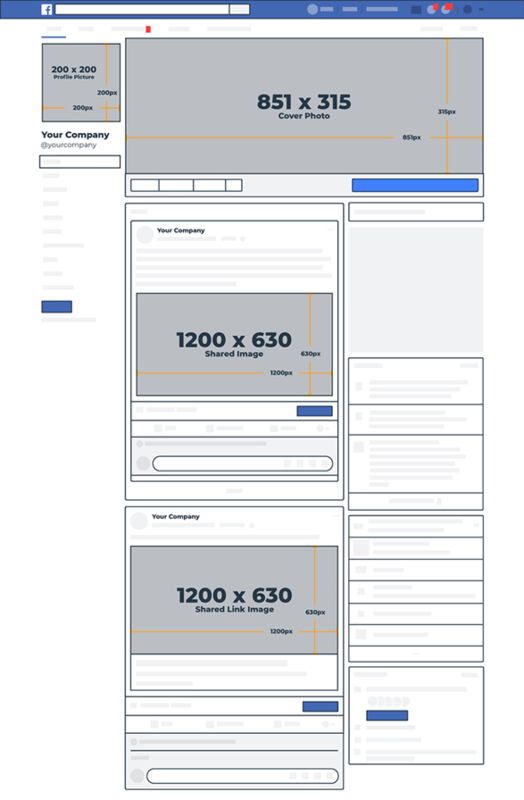 You can choose between a personal profile and business page. You must have a decent, professional picture of yourself for your personal LinkedIn profile. On LinkedIn, the background picture replaces the “cover Image” at the top of your profile page. 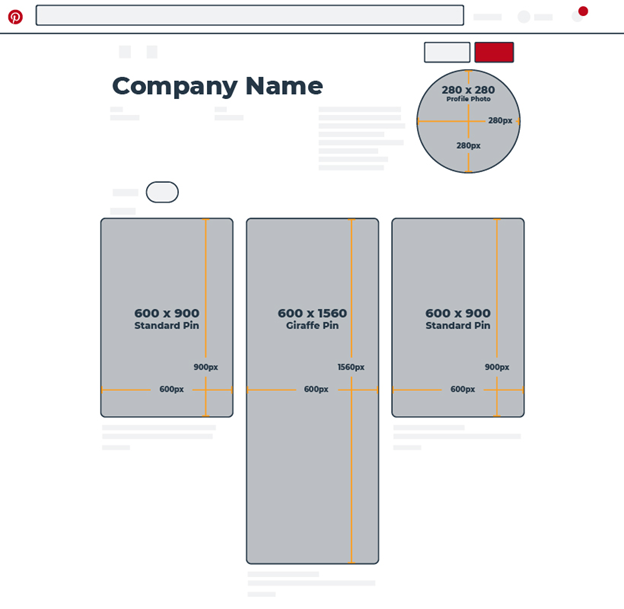 As a rectangular shape, it can be challenging to find imagery that fits the space properly – that’s where designing your own visuals comes in handy. The standard logo for a business account is a small square at the top of the profile page that is shown next to your brand’s name. The square logo is what people observe when they search for your brand or look at your posts in their news feed. 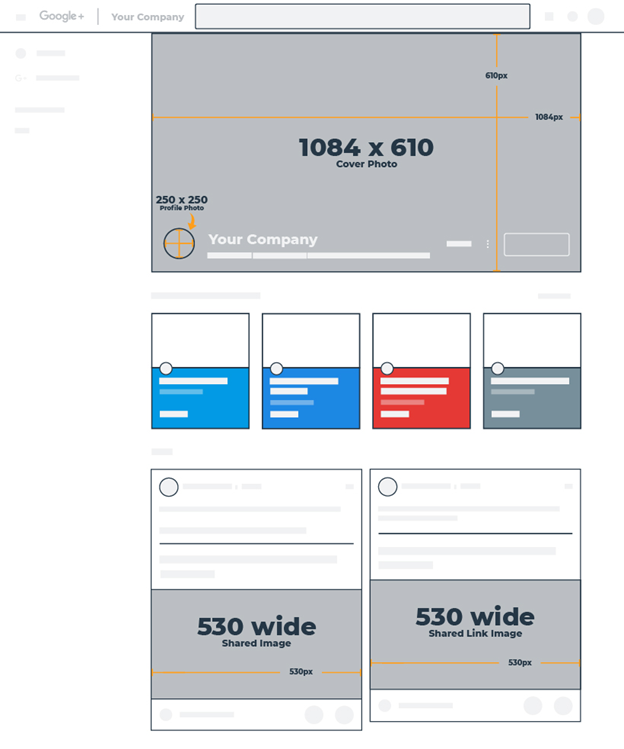 Instead of a background, you can have a cover picture on a business page that spreads across your profile underneath your logo and business name. Instagram is all about visuals, which should make the importance of high-quality pictures more obvious for this social network platform. As with other social platforms, the profile photo is a circle that displays next to your posts and at the top of your profile page. For companies, it’s a great idea to use their logo here, so all of their pictures are associated with their brand. As for 2016, Instagram updated its profile, feed, and hashtag pages with a smooth, minimal design, so there is no longer a cover Image. Instagram also lets you upload portrait and landscape-oriented photos and videos. So, to ensure pictures look sharp across all devices with high-resolution displays, Instagram rolled out support for pictures at a higher resolution up to a 1080-pixel width. This Picture will show up as a small square next to your posts in your followers’ feeds and is embedded with your username in posts. 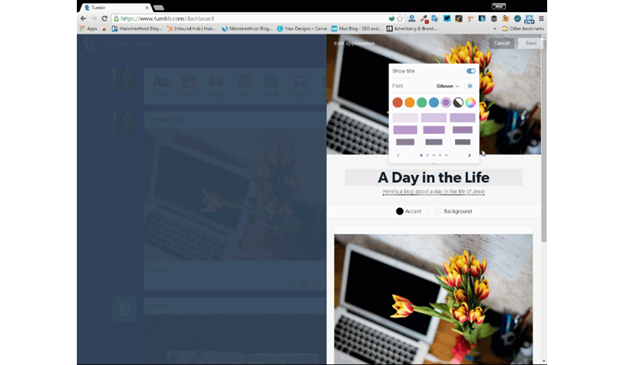 Remember your header image won’t show up on your page unless you add it to your theme. Your avatar may also not be featured on your theme but will show up as your Tumblr’s favicon on browser tabs. 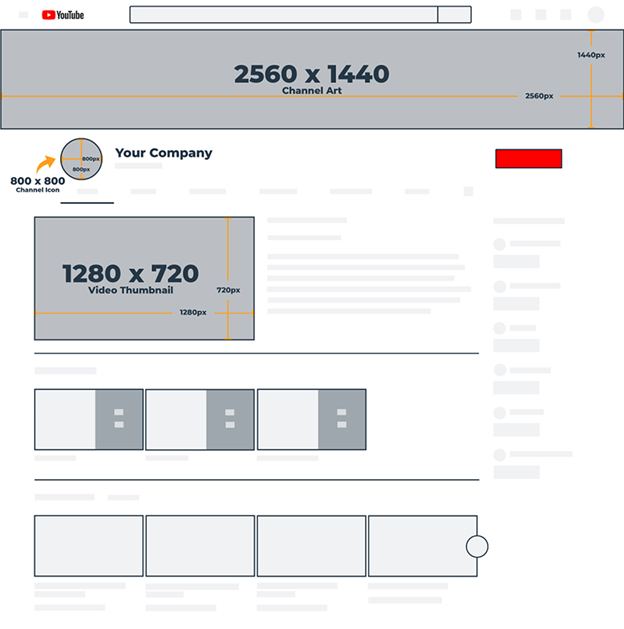 YouTube is a video-sharing network that is reached by users with different devices, such as tablets, phones, desktops, and televisions, so it’s necessary to have imagery that displays correctly across devices. A small square profile picture overlays the top left corner of your YouTube page. As crucial as profile and cover pictures are to representing your business, on YouTube, many people will see one of your videos before them. Tips: these ads show up in discovery, live stories or after someone’s story, and can link to an article or app installation. Remember to avoid including logos or any other essential elements at the top or bottom 15 percent of the video to prevent them from getting cut off. Tips: long-form videos should contain “live or motion graphic video”. 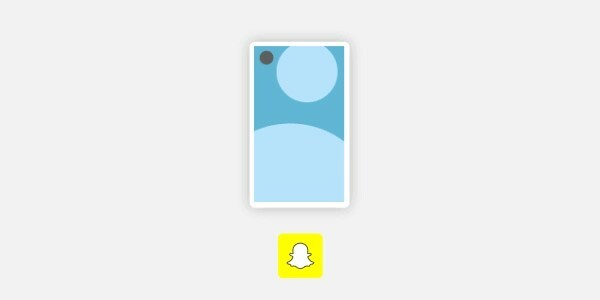 Although horizontal videos are allowed, Snapchat strongly suggests using verticals only.